Abdominal and pelvic pain arise from many causes, some of which develop into chronic pain conditions that affect your daily life. 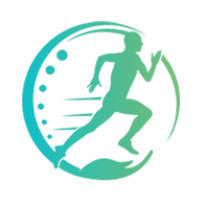 Arun Kandra, MD, and Vivek Das, MD, at Premier Spine & Pain Management have helped many men and women find relief from their chronic abdominal and pelvic pain. To learn more about how interventional treatments effectively treat pain when conventional medical therapies fail, schedule an appointment by calling one of the offices in New Jersey or Pennsylvania or by using online booking. The practice has locations in Easton, Pennsylvania, and Somerset, Hillsborough, Succasunna, and Middletown, New Jersey. What are abdominal and pelvic pain? Abdominal pain generally includes the entire region from your chest down to your groin, which also incorporates pelvic pain. However, pelvic pain more specifically refers to pain arising from the muscles, connective tissues, and organs of your reproductive, urinary, and digestive systems. Abdominal and pelvic pain that persists for at least six months is considered to be chronic pain. When you have chronic or disabling pain, the experts at Premier Spine & Pain Management can help you find relief. What causes abdominal and pelvic pain? The type of pain you experience varies depending on the underlying cause. Your pain may feel like a severe, sharp pain, a dull ache, or like uncomfortable pressure. You can even have a problem in your abdominal organs that causes pain in your lower back. How do interventional treatments relieve abdominal and pelvic pain? The doctors at Premier Spine & Pain Management can help you find relief from chronic abdominal and pelvic pain using treatments that target the spinal cord. Your peripheral nerves pick up pain signals throughout your abdominal cavity and carry them to the spinal cord. Then they travel through the spinal cord to your brain. You feel pain only when the signal actually makes it to your brain. Interventional treatments target the nerves in your spine responsible for transmitting the message to your brain. Nerve blocks are often used to relieve abdominal and pelvic pain. The doctors at Premier Spine & Pain Management may also provide long-lasting pain relief using radiofrequency ablation to destroy a small area of the nerve. Spinal cord stimulators are another treatment that works well for chronic abdominal and pelvic pain. The stimulator uses mild electrical impulses to block or mask pain signals. 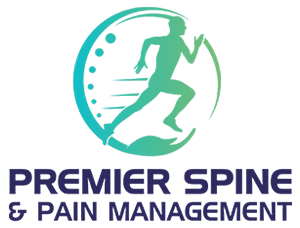 The team at Premier Spine & Pain Management has numerous treatment options — call or use online booking to schedule an appointment.